We had reported earlier about the possibility of a smaller 7 inch iPad might be out to compete with all other smaller devices out there. Although Steve Jobs made it clear that there was no chance of a smaller 7 inch iPad rumors are warming up that there might be one that might be out soon. Reuters reported that an Asian manufacturing source says that it was manufacturing half size iPads that were half the size of the original iPad. 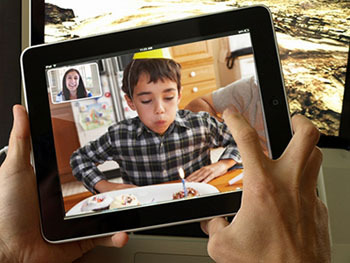 Speculation is that the source indicated that this particular model will sit between the iPad and the iPhone touch. It also indicated that this model might have a richer higher resolution screen as well as a couple of cameras presumable to support facetime feature. One strong reason for Apple to bring in a 7 inch tablet is to directly compete and if possible take Kindle out of business. Kindle had rivaled iPad as a leading ebook reader device and Apple is keep on biting a chunk of that market share.